David Mullen, Jr., whose financial advisor program at Merrill Lynch had a success rate twice the industry average, shows advisors how to effectively offer wealth and financial management services under one roof to better service clients. When exacting clients, high expectations, and the need to grow define your job, you need to be at the top of your game. That's why more and more financial advisors are pooling resources to meet demand and joining teams in the process. By implementing effective team-building strategies and building a highly functioning team, you'll gain more affluent clients-and serve them better-than you ever would alone. 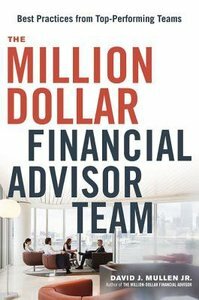 About "The Million-Dollar Financial Advisor Team: Best Practices From Top Performing Teams"